Casco Noric has been manufacturing in Germany very unique nordic eyewear for several years now the Casco Nordic Spirit Vaultron. 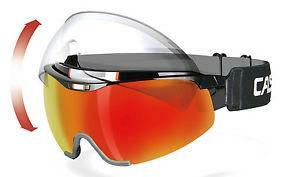 Cross country skiers and biathletes loved this eyewear. The Spirit Vaultron is perfect for skiing on those windy, snowy days just like the other two ski goggles still being made. This nordic eyewear serves as both a ski visor and sunglasses and come with a headband that supports a waterproof lens that is suspended above the nose which permits airflow between the lens and your face, effecitvely minimizing fogging. On sale now on Amazon. 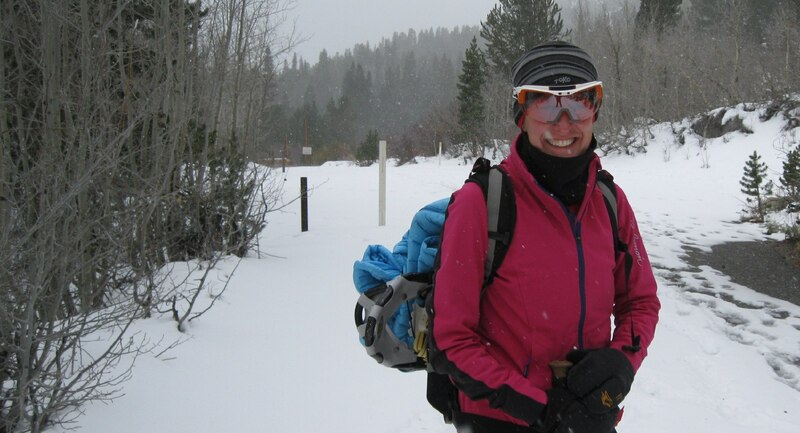 Normal sunglasses or other eyewear generally fog up and get snow covered when out skiing. Alpine ski goggles just don't work. The nordic eyewear has a lens that is fabricated with impact resistant and chemically resistant material to prevent scratching and damage to the lens. This is particularly important when working around klister, liquid waxes or wax remover that could splash and damage the lens. The lens came from the Apache helicopter windshield so it is designed to last. The nordic eyewear is also water repellent and during a storm, water will flow off the lens, thus improving visibility. One of the greatest features is the swiveling lens - it swivels up in two positions to block oncoming snow or to flip up when you are talking to a fellow cross country skier at the ski center. The main difference between the Nordic Spirit Vaultron and other similar flip up goggles on the market is the quality of the product. Casco is German made and the quality shows. Other goggles on the market are made in China. The Casco Spirit is sold with 2 lenses - Revo red and a photochromatic. The photochromatic lens changes with changing light. It also comes with a high quality protective case. The Casco have anti-reflection, impact-proof and 100% UV protection lenses. The headband comes in two colors: black and white and are made in two sizes - small/medium, and medium/large. Most heads fit the small/medium. We carry the most popular size and color: black headband and size medium. Get Yours Now on Amazon. 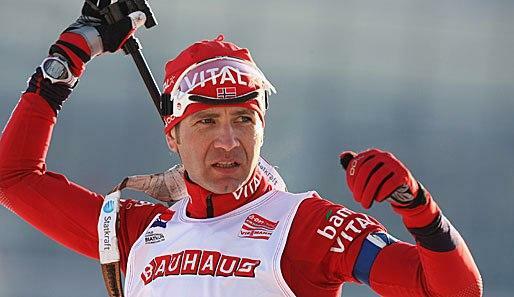 Cross country skiers and biathletes appreciate the lightweight eyewear. Being almost 15 percent lighter than other eyewear you hardly notice them on your head. Casco's unique ability to flip the lenses upward is a big hit and everyone loves their anti-fogging ability. The competitors flip up device, being not German made, does not stay up, which is why we prefer Casco to other brands on the market. If you are considering purchasing the Casco visit our retail shop, call us to order directly 760.924.8566 or order at our online Amazon shop Click Here for this products.